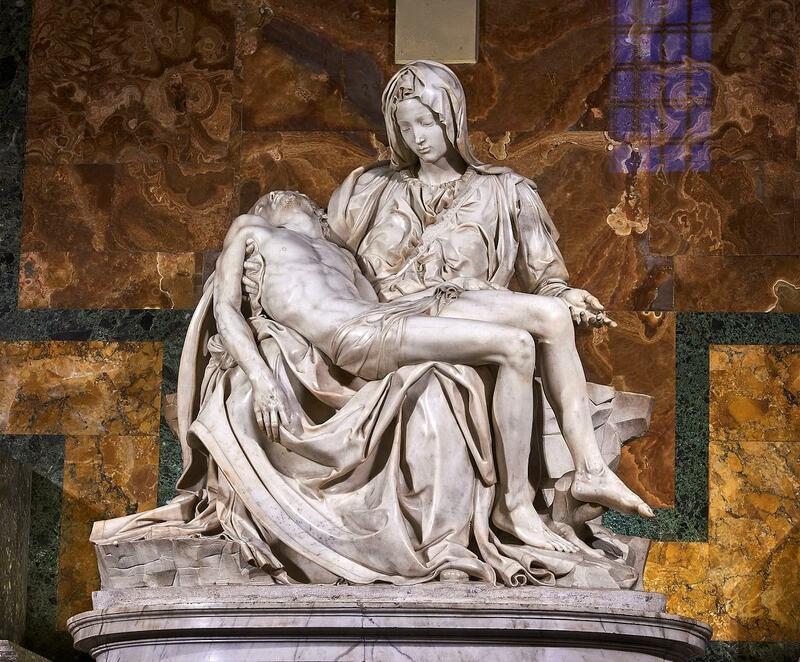 Before leaving the church, we must look at one of its most celebrated works of art: “La Pieta” by Michelangelo. Facing the entrance, it’s in a chapel to your left. We’ll meet you there.